On the 7th of August this year Australia passed the 25 million people mark, sparking a flurry of announcements on population and congestion. The discussions focus in on where our population is concentrated and how to deal with that congestion. But clearly absent in these population discussions is the freight and supply chain realities a growing nation has. With two state elections and a federal election inside the next nine months there is an opportunity to be heard on issues of freight no matter where in the supply-chain you stand. Raising the awareness of the benefits increased freight efficiency will bring not just for business but for all Australians is something we can do and must do. To capitalise on the population growth a plan needs to incorporate all aspects of the growth. As the states release their own freight and supply chain strategies it is imperative that the federal government's own plan listens, learns and seeks to use freight as a means of progressing the county not merely connecting it. Population growth is a two-sided coin. On the one side, you have the people and their social needs like health and education. And on the other, we have the network of freight and supply chains that support people with everything they need. We know that the 25 million mark was a milestone reached early, 33 years early. And rather than reaching 40 million people by 2056 revised forecasts suggest it will be 40 million by 2048, almost a decade early. Think about what that means for our freight and supply chain infrastructure, a system that uses the old projections was already considered unable to deal with the rising demand of our growing population. What we are seeing is a country vastly outgrowing its ability to supply itself and while we will always find a way to do it the question has to be what opportunities are lost along the way. With a more significant population comes more opportunity. We are a nation rich in resources, intelligence and space. Freight should be aiding and enhancing these opportunities, not the other way round. As we enter into more Free Trade Agreements, the latest looking like a deal with Indonesia, we need to remain or preferably increase our competitiveness. And efficient freight has the power to do this. If we can connect the country efficiently, so much more becomes possible. By the end of 2018, Australia is forecast to be supplying the world with half its lithium. Imagine if rather than exporting spodumene overseas to be converted into lithium and ultimately batteries to be shipped back to Australia at a premium we could do part of the process here? One reason we don’t is that freight is just too expensive. But if we can reduce the cost of transporting the raw materials into other parts of the country with capabilities to refine and manufacture lithium batteries Australia would be the beneficiaries of not only the cheaper raw material but the final value-added product. That equals more jobs in more places around the country and less dependence on overseas producers. Minister for Cities, Urban Infrastructure and Population Alan Tudge has been marketing the government's four-point plan to address Australia’s booming population growth. The idea is a $75 billion increase in infrastructure spending, congestion elevation methods on our roads and rail, immigration control and promoting the regions outside of our main population centres. The concern is that in this plan we see nothing of freight or shipping. It ignores that 98% of trade comes through the Ports and is transferred onto trucks or train. Nothing that discusses or unpacks the impact that this population explosion is having on national freight and supply chain. And in return how this system can help influence the population spread to reduce congestion in the cities. Ports are strategically placed around the country along with over 85% of our population and in all of Australia’s capital cities. There is opportunity to use Ports in a more domestic nature servicing industries around the country and connecting them via the blue highway. The federal government’s own delivery of the freight and supply chain strategy has been postponed until next year. Meanwhile, the NSW Government recently released their Freight and Ports Plan for 2018-2023, and it is a good step in the right direction. 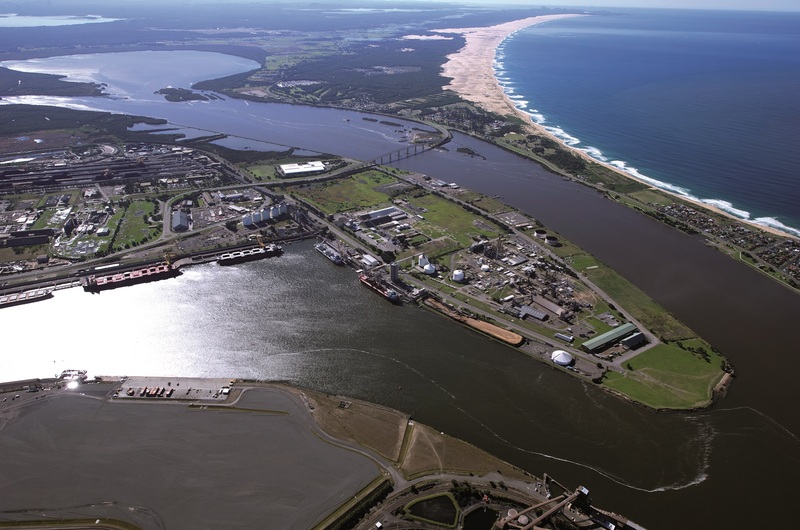 The plan included wide engagement with industry to build a progressive document merging government and industry concerns that present a viable plan for NSW’s future supply chain. Importantly the NSW plan acknowledges Ports across the state and the role they play, Port planning during this time of massive population growth is vital. Stifling a city by boxing in its Port leaves everyone worse off. Freight activities contribute $66 billion to the NSW economy; there is projected to be a 28% increase in freight over the next 20 years. To capitalise on this growth, the NSW Government needs to make sensible decisions to rid barriers to efficiency across our supply chain. When then-Prime Minister Malcolm Turnbull announced the Federal Government’s commitment to fund the $400 million duplications of the train line to Port Botany, he said ‘For every extra freight train on the line, fifty trucks are taken off the road.’ If a national freight and supply chain strategy takes a collaborative approach using the existing state plans to set bold and innovative targets we could begin to see a new Australia emerge. But it won’t happen without action from those who understand the freight network and can advocate on its behalf for the betterment of all Australians.